Randy Wilson once said in a TurfNetTV video that dogs have "the No. 1 job in golf." We could not agree more. Dogs chase geese and keep nuisance critters on the go. They run interference on golfers for the superintendent and generally serve as a calming influence in a world that often is anything but calm. And that is why TurfNet has been recognizing golf course dogs around the world since 2002 in the Superintendent's Best Friend Calendar, presented by Syngenta. 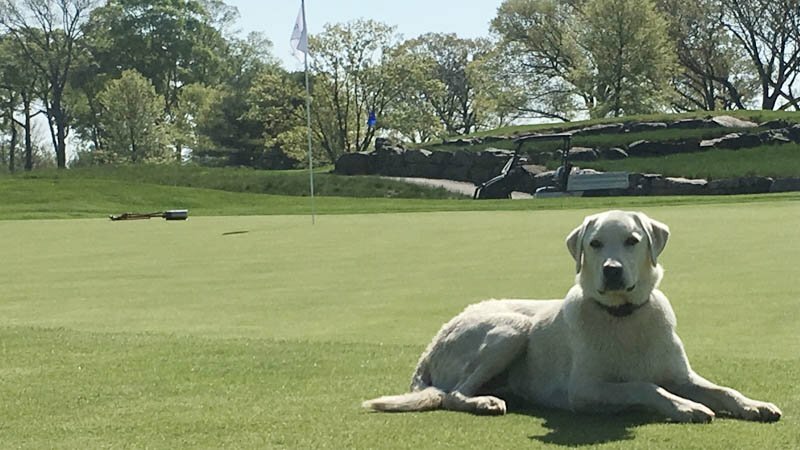 There have been several facsimiles, but for almost 20 years, the Superintendent's Best Friend Calendar has been the original golf course dog calendar. If you have a dog that earns its keep at the golf course, enter a photo for consideration for next year's calendar. A panel of judges will select the 14 dogs for the calendar, including the cover and December 2019. Images should be taken horizontally at your camera's highest resolution setting. Also, try not to center your dog in the frame, as left or right orientation often can result in a more dramatic photograph. Nomination deadline is July 31. Click here to submit a photo of your dog for consideration. Be sure to include the dog's name, age and breed; photographer's name; owner's name, phone number, email address; and the name of the golf course where the owner and dog both work. For more information, email John Reitman. Submission deadline is July 31.